...100% GUARANTEED to Your Satisfaction! Orlando - Save 25% on your next AC Repair When you Call Today and Discover Why You Never Have To Wait Around For ​Reliable Air Conditioning Service Ever Again! Will the company price the repair fairly? Will they get here when they promised? Will they keep you waiting all day? Will they fix it right the first time? And you can be sure that after we quickly diagnose your air conditioning service issues, we'll be prepared to do your repairs on the spot with well-stocked vehicles. No more waiting around for days for the right parts or scheduling from the right AC company. Get your AC repair done right when you need it most, anywhere in Orlando – even if it's the middle of the night or a holiday. And, we service all major brands including Goodman, Carrier, Lennox, Bryant, Rheem, Ruud, Nordyne, Mitsubishi, Payne, Trane, Amana, Whirlpool, & York. ⦁ AC compressor no longer keeping your family cool? Don't suffer through another miserable night because you can't find a fast and reliable AC repair service that actually fits your budget...Instead, turn to the certified air conditioning repair experts at My AC Repair Orlando today! Schedule My A/C Repair & Save $25! Flexible Appointment Times: You shouldn't have to sacrifice your family's comfort for days or put up with the hassle of missing work and rearranging your whole schedule just to get your air conditioning system service. Phones are Answered Year-Round: You can always count on us to be there whenever you need us. Even if it's 4:00 am on Christmas Day, we'll answer your call and come to the rescue so your family stays cool and comfortable. ​Certified Air Conditioning Service & Repair Experts: N.A.T.E. may not be a name you know, but in the HVAC industry it is recognized as the most rigorous and sought-after training program around. Less than 5% of technicians ever obtain this certification, so why take chances with less qualified companies? Have confidence in our professional team members that offer years of experience and always arrive in official trucks and uniforms. You can trust our HVAC technicians who endure rigorous background checks and are drug tested to provide you with quality AC repair that is done right the first time. On-the-Spot AC Repair: Get fast and efficient repairs without any hassle thanks to our highly trained HVAC technicians who arrive prepared to take care of your air conditioning service needs in well-stocked trucks. Plus – Save 25% today on any paid AC repair! Take advantage of this generous special pricing during our Orlando Savings AC Repair Event before it's too late! Call us right now and we can have you cool and comfortable in just a few short hours. ​But hurry, this great deal and special pricing won't last much longer. We earn our AC repair stripes each and every day. Thousands of Orlando homeowners count on us whenever they need help with their Carrier AC concerns. ﻿Goodman has quickly become the largest air conditioning manufacturer in America. Bur like all brands, they require maintenance and repair. Remember, not all Goodman AC repair companies are created equal. You'll get top quality craftsmanship and budget-friendly pricing that won't add more stress to your day. Plus, you'll get extended parts and labor warranties so you can rest easy with every repair we provide. I'm 100% confident that you'll be thrilled with our hassle-free air conditioning service and repairs just like thousands of other Orlando area customers. And to back up that confidence in the speed, quality, and pricing you'll enjoy, each and every air conditioning repair we provide is backed by a 100% GUARANTEE. If for any reason you're not totally satisfied with the quality and value you receive, we'll make it right. It's that simple! If you have concerns about repairing your older, existing cooling system, don't. If anything happens within the next year and it needs to be replaced, we'll credit the entire repair cost against your new system when you purchase it from us. We want you to have complete confidence when you work with us so you can rest easy knowing that you aren't wasting money on constant repairs. This is your invitation to get the on-time and dependable service you deserve..at prices that suit your budget. Just call us right now and take advantage of our limited-time savings offer of 25% off any repair. Right now, when you call My AC Repair Orlando and let solve any air conditioning issues you face, you'll not only enjoy fast and on-time service, you'll get bonus savings of 25% off the cost of your repair. This special offer won't last much longer. So call now to take advantage of our generous discount and get the fast, friendly repair service you need done today! Call us at the number below and we'll send a NATE certified HVAC technician directly to your home! What if they don’t get to us for days or weeks? What if they make me wait for special parts to be shipped? What if they overcharge us, knowing we can’t really stop them? What if they cause more damage to my system fixing this problem? What if they cut corners and do jury-rigged fixes instead of doing it right? If you’re being buried by questions like this, we think you’ve got the wrong AC contractors. My AC Repair Orlando puts the customer first, second, and third. We don’t subcontract to untrained HVAC technicians, and our certified air conditioning experts know that when a call comes in, they have to respond quickly and efficiently. We come to you not only with our know-how, but with a vehicle stocked with just about everything we need to properly repair your AC system. We won’t leave you languishing in the heat when your cooling system goes down. And, any air conditioning contractor who would doesn’t deserve your business. When Do You Need AC Repair Services? Steamy summer days are no time to be without air conditioning. When your home feels like the inside of an oven, you can’t safely remain there. You’ve got limited choices: do you buy window units and just make do? Do you try to repair something yourself? Do you call in the cavalry? 1.No guesswork. We don’t guess – we troubleshoot problems. Our HVAC repair technicians are certified to work on all equipment, including major brands like Carrier, Rheem, Lennox, Ruud, Goodman and many others. 2.Safety. Air conditioners are packing a lot of voltage – you shouldn’t put yourself or anyone else in your home at risk by trying to fix electrical devices on your own. 3.We’re prepared. Like the Boy Scouts, we believe in preparation. Our air conditioning repair teams have the specialized tools and parts needed to get the job done without waiting or searching shelves at the hardware store. 4.No risk of further complications. An attempt to do a DIY repair on a frozen evaporator coil might seem like a good idea when you’re reading a How-To AC repair article with pictures and diagrams, but did you know that messing up can damage your compressor? That’s a mistake that costs thousands of dollars to fix. 5.You get to keep your life on track. At the end of the day, you’ve got your own things going on. Why derail your life to try to attempt an air conditioning repair yourself when you don’t have to? We’d rather see you go to work, go out with friends, and go about your life as if nothing had changed, while we dive into your cooling issues and fix them for you. We serve residential and commercial systems in the entire Greater Orlando region including Kissimmee, Winter Park, Maitland, Oviedo, Altamonte Springs, Hunters Creek, Apopka, Sanford, Conway, College Park, Longwood, Ocoee, Lake Buena Vista, Winter Garden, Clermont, St. Cloud, and Bay Lake, Belle Isle, Edgewood, Poinciana, and Dr. Phillips Florida. Let us take the worry out of air conditioning malfunctions. Service for Carrier AC Systems is more sophisticated as these are powerful heating and air conditioning machines. They’re the pinnacle of performance and reliability. Still, no AC unit is 100% repair free for 15 years. Even Carrier systems break down – and not every Carrier AC repair technician out there is qualified enough to work on a Carrier system. System isn’t turning on reliably, or at all. Your Carrier AC is tripping the circuit breaker. Decreased airflow from your vents. Blowing warmer or more humid air. A sudden increase in your utility bills. Strange noises, especially during startup or cycling operations. Shuts off unpredictably, or too often. You’re seeing water leakage near the outdoor unit, or dripping from the refrigerant line. Don’t gamble with your comfort and safety. Our Carrier AC Repair experts have trained for many years with Carrier equipment, and are certified to repair even older systems. You’ll find, with My AC Repair Orlando, solutions to all of your concerns. You may want to consider an upgrade to a newer AC, and Carrier offers many surprisingly affordable and super-efficient systems. If you do, My AC Repair Orlando will be there to provide you with ongoing maintenance and 24/7 emergency services for the entire life of your Carrier AC, new or old. Don’t cope with even one more night of discomfort – call us today and let us fix or upgrade your faulty Carrier air conditioning system. Take advantage of our affordable and worry-free services and stay refreshed all summer long. What’s the worst thing a homeowner can do in the event of a malfunctioning AC system? That’s an easy answer: nothing. Making sounds that you’ve never before heard? Or anything else that worries you, don’t wait. A Goodman air conditioning system should be taken very seriously, just like your family’s comfort. In hot weather, a broken residential AC means no sleep, no peace, and health risks. There are no small problems, because even seemingly minor AC issues can lead to larger ones overnight. If you own a Goodman air conditioner, or are considering one as an upgrade to another system, you should know that these air conditioners come very highly recommended for a reason. Much of their complete line of commercial and residential heating and cooling system is made in their hometowns in Tennessee and Texas, and is a surprisingly affordable option for any home. Their robust systems have been trusted since 1982. They may not have Carrier’s long history, but they contend with any brand in the world on power, reliability, and bang for your buck. Should You Repair Or Replace your AC System? This is a common question, and we don’t have universal answers. Every situation is different. However, if you’ve got a Goodman AC, you may have had it for a while already, as these units can last even longer than the manufacturer specifications indicate. How much will the air conditioning repair cost? Will the repair you need restore your AC to like-new performance? How much would a new AC installation cost? How energy-efficient is your current system, compared to newer options? Can you afford to wait on a new system until after the summer? We try to make these decisions as easy as possible. If your Goodman AC is on the fritz or worse, we offer solutions. Our technicians have many years of experience with Goodman equipment, and we charge by the job instead of by the hour. 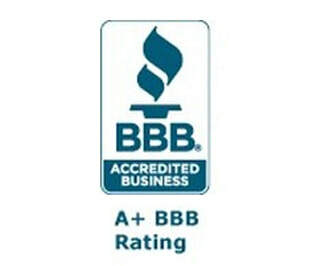 Don’t pay more than you should for Goodman AC Repair. Instead, call us at My AC Repair Orlando, and let us help you squeeze the maximum comfort out of your air conditioner. Welcome to the AC repair blog! Someone famous – Sir Francis Bacon, maybe – once said that “Knowledge is Power,” and we’re big believers in sharing our power with you. This blog will be an informative collection of troubleshooting guides, pro tips, how-to’s, and HVAC repair insider knowledge. ​We’ll help you pick the best brand, the best equipment, and even the best contractor – though we think My AC Repair Orlando is pretty hard to beat. Whether you’re a neighbor here in the Orlando region or live thousands of miles away, we hope you’ll find useful information in this section of our website. Our veteran AC contractors and repair technicians are excited at the prospect of sharing our experience with you. If you have a question we haven’t answered, call us or drop us a message today. Orlando AC Repair: Why Is My AC System Not Cooling My House? How Do I Choose the Right Size System For My Home?